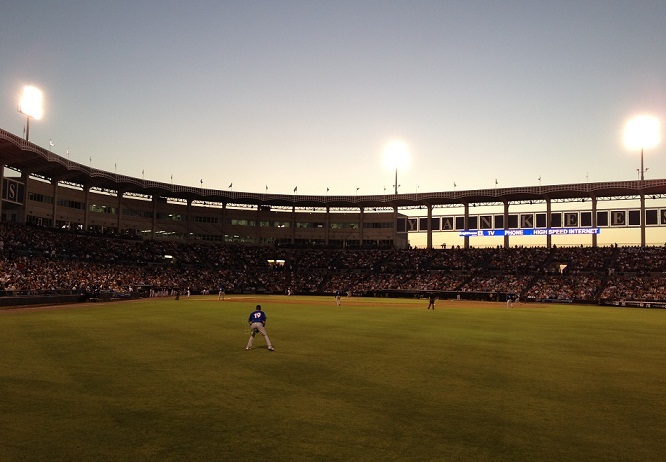 Steinbrenner Field: Spring training home of the New York Yankees. Written in 1908, Take Me Out to the Ball Game has become an integral part of every baseball game. Typically played during the seventh-inning stretch the song was composed by Jack Norworth while riding the New York City subway past the long-gone Polo Grounds. The song was set to music by Albert Von Tilzer. In 2001, Take Me Out to the Ball Game was selected as one of the Songs of the Century by the Recording Industry Association of America (RIAA), the National Endowment for the Arts, and Scholastic Inc. Take Me Out to the Ball Game is ranked eighth among the 365 songs on the list. Curiously, it wasn't until 1940 that Norworth saw his first professional baseball game.